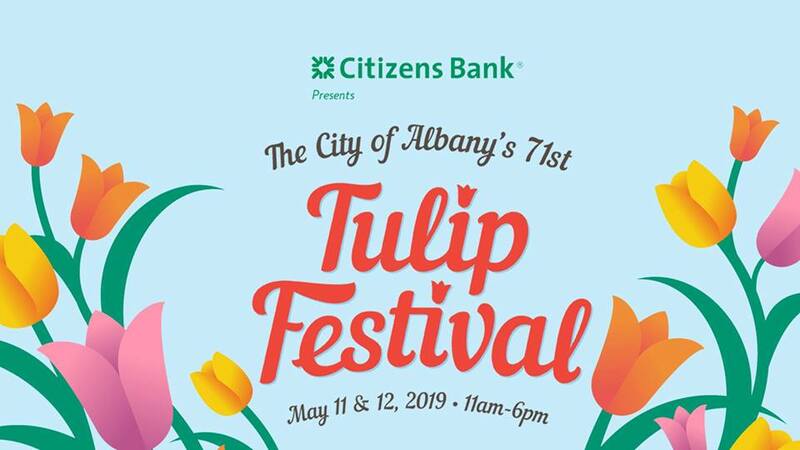 ALBANY — The City of Albany hosts the 71st Annual Albany Tulip Festival presented by Citizens Bank on Saturday, May 11 and Sunday, May 12 in Washington Park. The Tulip Festival is Albany’s signature spring event featuring annual traditions rooted in the City’s rich Dutch heritage. The event includes nearly one hundred artisans selling their handmade crafts, a fine arts show, delicious food, the KidZone family fun destination, two stages of world-class live entertainment and more than 187,000 tulips in 150 different varieties. It all takes place in historic Washington Park, the 81-acre “crown jewel” of the City. Since Mayor Erastus Corning II read the first Tulip Festival Proclamation on May 14, 1949, the Mother’s Day weekend celebration has grown into one of the Northeast’s biggest and most beloved yearly events. Featuring area vendors, businesses, community organizations and original local artists on every stage, the Tulip Festival continues to honor Albany’s four centuries of history while looking ahead to its future. As always, this event is free and open to the public. Read on for the full schedule of events or view online at www.albanyevents.org. 11:30 a.m. –The Mendelssohn club A local institution for over a century, this acclaimed male chorus is the longest continuously performing arts group in the Capital Region. 1:30 p.m. – El Modernist: Delivers a new take on the world of indie rock. With pulsating hooks and lush melodic waves of psychedelia, the band combines upbeat, catchy garage-rock with a modern alternative hip-hop sound. 3:00 p.m. – The Greeting Committee: this Kansas City-based band delivers an undeniably original selection of songs that feel as intimate as a basement recording but unfold in intricate textures and melodic sophistication. 4:30 p.m. – KONGOS: is a rock band of four brothers – Johnny, Jesse, Dylan and Danny Kongos. Sons of British singer-songwriter John Kongos. Their song “Come With Me Now” put KONGOS on the map in the United States and worldwide. The group became unanimously recognized as one of rock’s most infectious and invigorating new voices as the track went RIAA double-platinum for sales in excess of 2 million. It occupied the #1 spot at Alternative Radio for five weeks, marking the quickest ascent to the top by a new band in history. 1:00 p.m. – Hasty Page: is a group of young, innovative musicians that came together to create an exciting and inspirational new sound for their fans. The original music they write paints a theatrical image through the use of creative lyrics and intricate musicianship. 2:15 p.m. – CK & The Rising Tide: is an alt, country/folk rock band choosing to record on their own in an upstate log cabin, the band put their noses to the grindstone and put together an album of insightful, clever, honest and meaningful songs that are rooted in folk-rock and venture into the indie rock and country spectrums. 3:30 p.m. – Sydney Worthley: is a shining young singer/songwriter who melds alt-rock, folk, and pop into a sound all her own. Sydney’s debut album, Strong, is a 14-track roller coaster built on strength, courage, and perseverance. 4:45 p.m. – Wild Planes: is a rock/pop band consisting of Lead Singer/Guitarist Kris Carmello, Bassist Jimmy “Ray” Hoag, and Drummer Andre Jevnik. Being labeled as a “wild” band with unmatched energy and a big personality, Wild Planes is on the rise fusing Rock “N” Roll and Pop. 1:30 p.m. – Girl Blue: is a powerhouse vocalist and a rare genuine talent, most especially shining as a live performer, where she has the unique ability to silence a room with just her voice and a guitar. She continues to tour regularly and record her own music independently in collaboration with Just Pretend Records. 3:00 p.m. – Moriah Formica: has already made a name in the music industry. A top 20 contestant on Season 13 of NBC’s The Voice, Moriah has wowed the coaches and the world at large with her performances. The coaches had this to say: “So much talent, it’s almost unfair to the rest of the world. You are a born rockstar” – (Blake Shelton). 4:30 p.m. – Marshall Charloff & The Purple Xperience: this five-piece group hailing from Prince’s birthplace, Minneapolis, MN. They have been touring around the country bringing the greatest and most authentic production of Prince and The Revolution in the world to audiences of all generations. Band leader Marshall Charloff recorded with Prince on the album 94 East, where Marshall plays both keyboards and bass guitar and Prince is on lead vocals. 1:00 p.m. – Mike Grutka: this acoustic-based singer/songwriter blends funky-modern-roots with a rock and roll sound that has already scored him airplay at more than 400 radio stations across the U.S. and Canada. 2:15 p.m. – Honey Slider: is a folk-rock/pop duo-band based in Albany, NY. After meeting at SUNY Albany in 2012, Caity Gallagher (vocals, keys, guitar) and Alec Lewis (vocals, lead guitar) have grown as both musicians and colleagues. Their roots in musical theater shine through their classic rock and folk influences, especially during their live performance. 3:30 p.m. – Bird Streets: springs from the mind of songwriter John Brodeur. Bird Streets references Brodeur’s hometown of Albany, N.Y., which provided the characters and inspiration for some of the band’s songs. Their sound is yielded by this pairing is both fresh and familiar a dynamic collection of introspective indie rock and power pop that draws liberally on the music of decades past without being bluntly nostalgic, with Brodeur’s voice like an old friend you’re meeting for the first time. 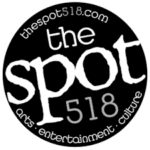 4:45 p.m. – Lets Be Leonard: Let’s Be Leonard is a group of rockers hailing from Saratoga Springs, NY. They’re road warriors, they’re lovers, laughers, thinkers. They’ve thrown more frisbee than all of their extended families combined, and they can certainly put on a heck of a show. Enjoy pony rides, a rock climbing wall, inflatables, face painting, music, games and more fun for the whole family! ***Saturday only***12:15 p.m., 2:00 p.m. – Park Playhouse: Washington Park’s beloved theater group offers exciting sneak previews of their 2019 musical productions! ***Sunday only *** 12:15 p.m., 2:00p.m.-The Tick Brothers: this duo puts out a full band sound that’s sure to soothe the soul and rock your bones! 1:00 p.m. – Artpartners: this community-based dance training program presents a stellar performance bridging classic and modern styles. 1:15 p.m., 4:00 p.m. –Melvin the Magnificent: is a professional magician played by Joe Goode, his shows are action-packed, interactive, and sure to bring huge laughs from the entire audience. 2:45 p.m., 4:45 p.m. – Andy “The Music Man” Morse: a well-versed children’s musician renowned for delighting audiences of all ages through sing-a-longs, dancing, play-acting and storytelling. 3:30 p.m., 5:30 p.m. – Ruth Pelham of the Music Mobile: a Capital Region musical treasure, exuberantly promoting her mission of building peaceful communities through original songs for all ages. Monday, May 6th – May 8th 2 p.m. & 5:00 p.m., Thursday, May 9th 1 p.m., 3 p.m. 5 p.m., Friday, May 10th 10 a.m.,1 p.m., 5:30 p.m. The City will provide tools, but please bring a garden fork (NOT a shovel) if you have one. Bulbs are $5 for a bag of 30 – 5 bags per person. The tulip dig is limited strictly to designated beds, under the direction of park staff and volunteers and ends promptly at 12:00 p.m.